Eufy Genie Smart Speaker With Amazon Alexa Just $34.99! Down From $60! PLUS FREE Shipping! 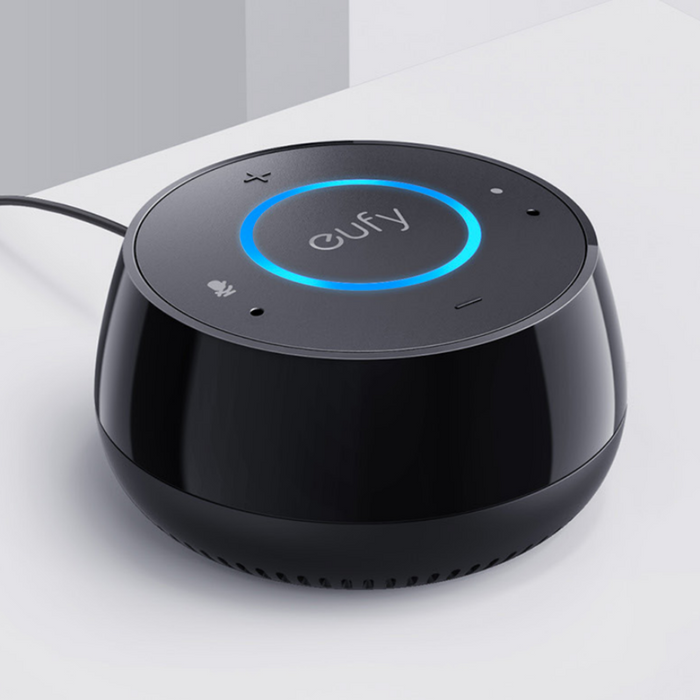 You are here: Home / Great Deals / Amazon Deals / Eufy Genie Smart Speaker With Amazon Alexa Just $34.99! Down From $60! PLUS FREE Shipping! Do you love technology? Then this might be of your interest! Amazon is now offering Eufy Genie Smart Speaker With Amazon Alexa for just $34.99 down from $59.99 PLUS FREE shipping! Eufy Genie is a voice-controlled smart speaker with Amazon’s intelligent Alexa voice assistant. Just say the wake word “Alexa” and Genie plays music, controls your smart home devices, answers your questions, sets calendars, reports the weather and news and more! Built with a 2W speaker that delivers dynamic audio and room-filling sound, so you can truly enjoy your favorite playlists from streaming services like Spotify, Amazon Music, TuneIn, Pandora and iHeartRadio. Easy setup with the free EufyHome app. Use the Amazon Alexa app to access 10000+ skills and services, such as Sirius XM, Domino’s Pizza, Uber, ESPN, NPR News, and much more. Plus, Genie is always getting smarter. Hurry before this awesome deal ends!